Today, I’m going to ask about the Wii U GamePad controller. Once it’s done, it will only seem natural that it runs like a charm, but a lot of people put it through a process of trial-and-error to make it that way. Thank you for your time today, everyone. Okay, please each of you introduce yourself and tell us what you worked on. I’m Yamashita from the Integrated Research and Development Division. I was in charge of pulling together the overall software. 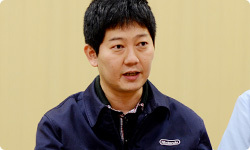 In co-operation with Iwamoto-san, I worked on both the firmware1 that runs on the Wii U GamePad and the software for connecting it to the Wii U console. 1 Software within a hardware device for performing basic operation of the hardware. The Wii U GamePad isn’t for directly processing the games. 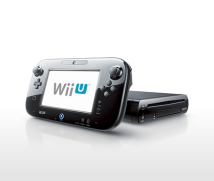 Signals are sent from various input devices to the Wii U console, where it performs the processing. 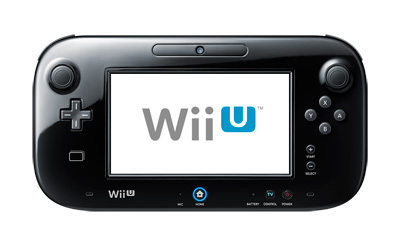 The Wii U GamePad then shows images sent from the Wii U console. It not only exchanges data wirelessly with the Wii U console, but it also is capable of performing actions on its own, like using the TV remote features. You’re the one who co-ordinated building up that overall system. 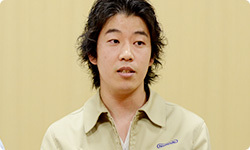 I’m Ito, also from the Integrated Research and Development Division. I was in charge of overall system design of the hardware. I decided IC2 specifications and made decisions on how to send and receive images and sound between the Wii U GamePad and Wii U console without noticeable delay. In the past, I’ve worked on the design of such devices as the Wii Remote controller and Wii MotionPlus3 accessory. 2 An electronic circuit with various functions that is mounted on the circuit board. 3 An accessory with a gyro sensor for connection to the Wii Remote controller. The Wii Remote Plus controller, which adds the functionality of Wii MotionPlus to the Wii Remote controller, is now on sale. The Wii Remote packaged with the Wii console has also been replaced by the Wii Remote Plus controller. I’m Mae from the Integrated Research and Development Division. I worked on the wireless communication technology for the Wii U GamePad and Wii U. Since the Wii U GamePad is a controller, it was extremely important that there be no noticeable delays in the image and sound data, so I worked on making that system. I’m Ibuki of the Integrated Research and Development Division. I worked on the industrial design of the Wii U GamePad. This time, the entire industrial design group combined our efforts to finalise the design. 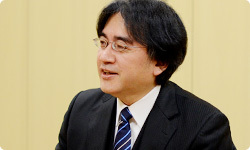 As one of the team leaders, I was involved in the development of the overall Wii U hardware. Due to the arrival of 3D printers4, we’re now able to use CAD5 to create three-dimensional objects and make them in just a few hours, but when it comes to design, everyone has something to say. They’ll casually say, “Just whip this up, would you?” And what seems optimal to hold in one’s hands differs slightly from person to person, so I have been imagining that it must have been quite hard. 4 A modelling device that makes three-dimensional objects exactly resembling solid figures drawn with 3D CAD. Three-dimensional CAD is technology that makes easy-to-comprehend visual representations of complicated shapes and curves by three-dimensionally drawing the shapes that compose objects. 5 This is a system that uses a computer to draft objects such as machines, buildings and electronic circuits. I made such a huge amount that I don’t even remember how many! (laughs) This time, instead of using the design as it had come out of the 3D printer, we actually received approval for design with something that all the team members including myself whittled by hand to make fine adjustments to the 3D printed objects in the company workshop. Really? You carved those models by hand?! We did! (laughs) We carved what came out of the 3D printer by hand and then sanded it. Most of the controller designs approved in the past were fine-tuned by hand. By doing things by hand, each trial and error processes can be done much, much faster, so when the design is in the fine-tuning stage you absolutely need to make modifications by hand. Besides using a 3D printer, design considerations are done using various techniques. You’ll need not only to be able to carve but add and mould, and depending on the situation we use clay to shape objects. When presenting a design for review we recreate it using a 3D printer to make a clean version, and then fine-tune and detail that model by hand. When I hear things like this it becomes harder for me to ask someone in your team to make me something real quick! (laughs) Well, even so, I’ll probably keep asking. Yeah, we take the time and effort to make each and every one. 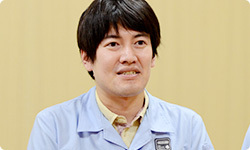 I’m Iwamoto from NTD6. I worked on pulling together development of the software for controlling the Wii U GamePad. I was in charge of determining what functions to give the Wii U GamePad, as well as of the SDK7 and development environment. 6 A technology research and development group led by Howard Cheng, based in Washington state. 7 A set of development tools necessary for making applications for game consoles and other devices. In making this, you had to deal with the time difference between NTD in America and Kyoto in Japan. What are the benefits and challenges presented by working so far apart? The time difference is a challenge, and NTD’s members mostly aren’t Japanese, so there was a language barrier, which made meetings a bit cumbersome. To overcome that, you had phone meetings every day and team members travelled back and forth. Each time, there were phone meetings until about five in the evening here in Japan, but it was about one in the morning in America, so Iwamoto-san had to work until awfully late at night. As for a good point, a lot of talent has gathered in America. It was a strength to have such outstanding people knowledgeable in each field. I truly think that the professionals in each field in America are highly specialised. Yes. In wireless communication in particular, David Tran8 got me off the hook numerous times. 8 Engineering Manager, Nintendo Technology Development Inc. 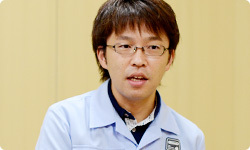 He was in charge of development of the various input and output interface functions for Wii U. 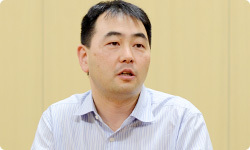 For the Wii U GamePad, he drew upon his experience developing wireless WAN (wide area networks) to play a big role in achieving the device’s wireless functions. Wireless systems are complicated and hidden from the eye, so they’re more difficult than ordinary software. With ordinary software that lacks communication features, the environment doesn’t affect it, and you can create the data with the premise that they will be correctly retrieved all the time. You can’t see the actual wireless communication, and each environment is different. Also, while a certain amount of data gets garbled, it still needs to runs well. These characteristics are completely different from ordinary software. Yes. In particular, unlike scenery photographs, there are a lot of drastic changes occurring all the time in videogame images, and the wireless communication element changes for each environment, so it was a big challenge to deal with those two types of changes at the same time. At a time when we still didn’t even have the name “Wii U GamePad”, and you first heard that we wanted to add a screen which shows images to a controller that’s connected wirelessly, what did you think were the tasks ahead? The fact that it’s a wireless system. In addition, we would have to compress and send the images in real time. Those were the two key areas. I was concerned about latency9 too. 9 The time it takes to receive data. This refers to the time delay it takes to retrieve data in memory and receive that information over a network. With the usual wireless video transfer methods, even if a slight latency occurred, it was okay as long as it didn’t get stuck along the way. So with ordinary video playback, the system would buffer a certain amount of data before it plays in the case where data isn’t being sent on a consistent and constant basis, so the video can play smoothly. With the Wii U GamePad, however, Mario has to jump as soon as you press the button, so if there’s latency, it’s fatal for the game. You had to take on a challenge that no one else had before.